Please allow seven to ten days for delivery. Shipping to USA only at this time. The old wineskin for healing and deliverance can’t hold what God has for us today. In greater measure than ever before, God is releasing His anointing to accelerate the work of ministry. What used to take years, will be accomplished in hours. There is an acceleration from the throne room to redeem the time, heal the brokenhearted and set the captives free. In the new wineskin we host His presence. It’s not about us, it’s about Him. Hearing His instructions and ministering from His heart of compassion, we can expect miracles to happen! This testimony shines the spotlight on the hidden works of darkness silently permeating the very fabric of our society, from Masonic lodges to the Vatican. This compelling true story will provoke you to ask the questions you were afraid to ask and to venture beyond your denial. It is a voice for the voiceless, and a ray of hope for those who have suffered. Katie is living proof that miracles still happen and it is possible to find purpose beyond the pain. This 70 page booklet provides a brief overview of the beliefs associated with Mithraism and detailed instructions for deliverance prayer and Satanic Ritual Abuse deprogramming associated with each of the seven degrees of Mithraic initiation rites. 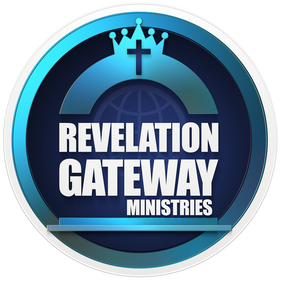 Resources brought to you by Revelation Gateway Publications.